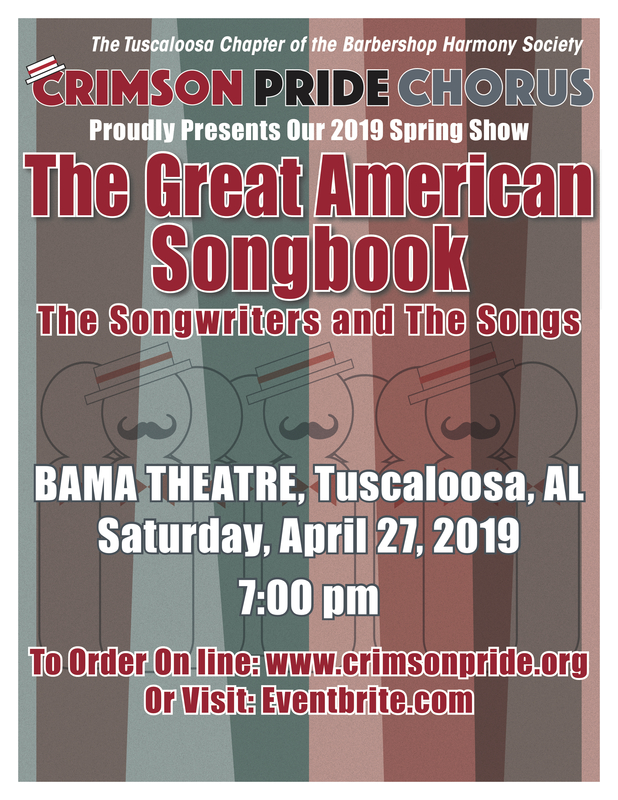 Let the Crimson Pride Chorus and quartets take you on an American journey of song and those who write them. The show will be at the magnificent Bama Theatre on April 27th at 7pm. Tickets are just $15 and can be purchased through the link below via EventBrite.